Agra’s Taj Mahal is one of the most famous buildings in the world, the mausoleum of Shah Jahan’s favorite wife, Mumtaz Mahal. 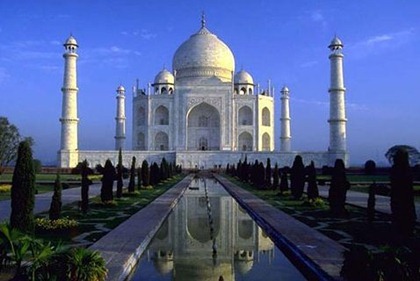 It is one of the New Seven Wonders of the world, and one of three World Heritage Sites in Agra. Completed in 1653, the Taj Mahal was built by the Mughal king Sh?h Jah?n as the final resting place for his beloved wife, Mumt?z Mahal. Finished in marble, it is perhaps India’s most fascinating and beautiful monument. This perfectly symmetrical monument took 22 years (1630-1652) of hard labour and 20,000 workers, masons and jewelers to build and is set amidst landscaped gardens. The exceptional natural beauty of Kanyakumari draws a large number of tourists not only from India but also from abroad. 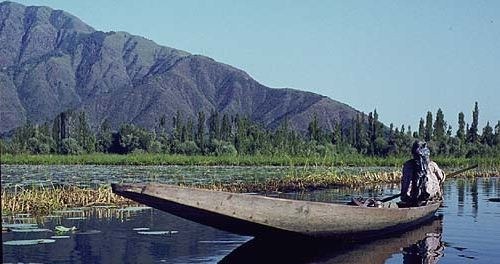 This small but picturesque town is located at the confluence of three important water bodies— the Indian Ocean, Arabian Sea and Bay of Bengal. 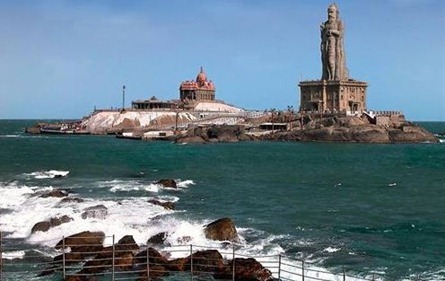 Kanyakumari has also got deep religious associations since the name of the place literally means virgin girl which is a form of the Goddess Parvati. Kerala, situated on the lush and tropical Malabar Coast, is one of the most popular tourist destinations in India. Named as one of the "ten paradises of the world" and "50 places of a lifetime" by the National Geographic Traveler magazine, Kerala is especially known for its ecotourism initiatives, Beautiful Backwaters and Alternative healing massages. The backwaters have a unique ecosystem - freshwater from the rivers meets the seawater from the Arabian Sea. In certain areas, such as the Vembanad Kayal, where a barrage has been built near Kumarakom, salt water from the sea is prevented from entering the deep inside, keeping the fresh water intact. 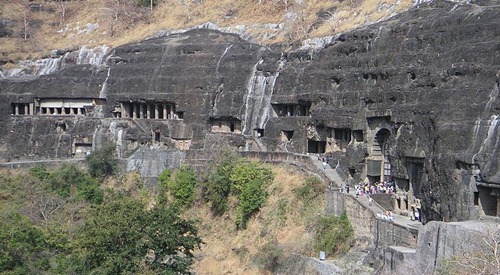 Chiseled during the span between the 2nd century BC and the 8th century AD, the Ajanta and Ellora caves are two of the most alluring tourist destinations in India. Your tour to India is, in fact, incomplete without a trip to this wonderful tourist site near the city of Ahmedabad in Gujarat.